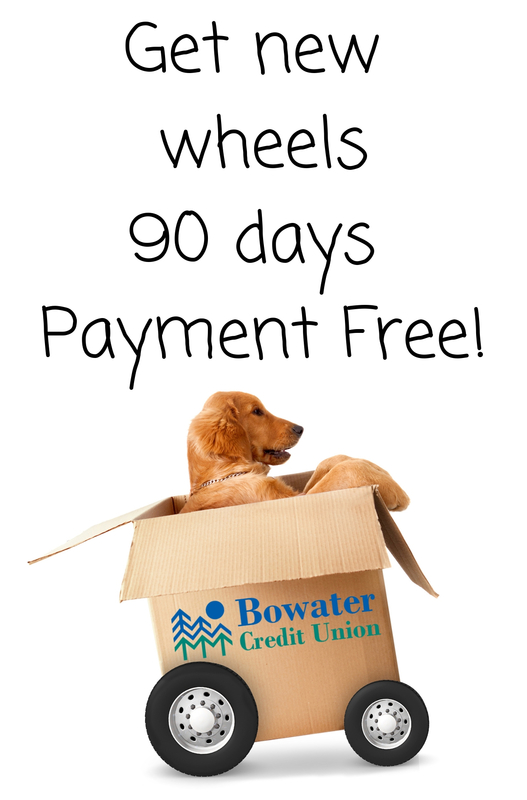 February only: get any car, truck, motorcycle, or boat loan at Bowater Credit Union and enjoy no payment for 90 days! This offer applies on purchases, or if you are refinancing your loan from another lender. So… what will you do with the extra room in your budget?